After conducting an 11-year retrospective analysis of 348 categorical general surgery residents at six California surgical residency programs, Dr. de Virgilio and colleagues found that about one-third of residents (31%) required remediation at some time during their training, and 8% of those students required remediation more than once. Remediation was initiated to repair deficiencies in one of the six ACGME competencies in 74% of residents. The remediation process consisted mostly of monthly meetings with faculty and specific reading assignments, but sometimes involved mandatory attendance at review courses or conferences and other interventions. 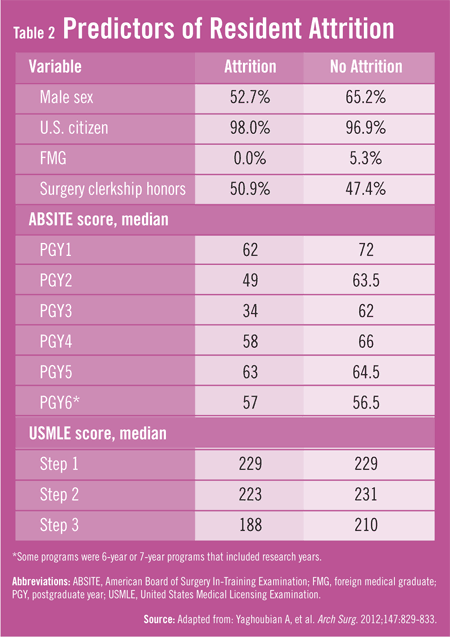 In a multivariate analysis, the study revealed that remediation was linked to United States Medical Licensing Examination step 1 scores, but median scores were generally high among both remediated and non-remediated residents and were higher than the national average (Table 1). In addition, residents requiring remediation were high achievers and were more likely to have received honors in their third-year surgery clerkship. 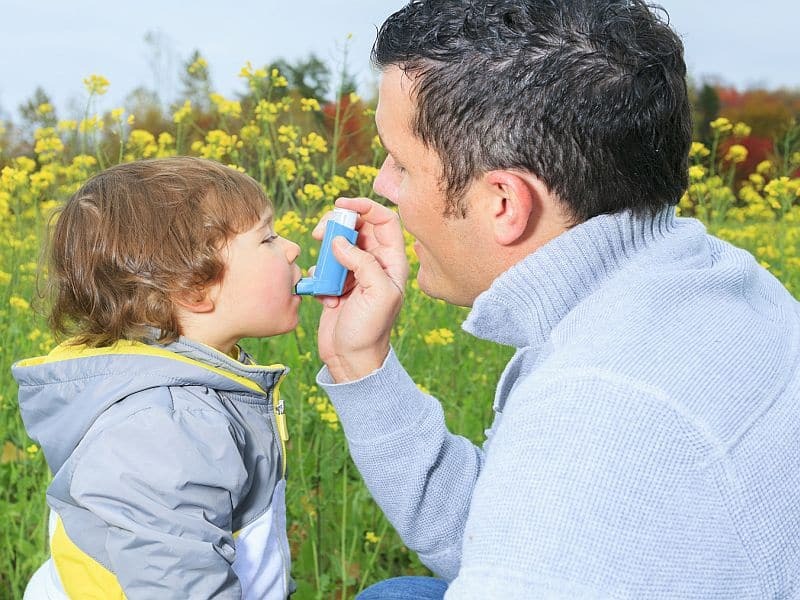 “It’s important to note that most remediated residents successfully completed their residency program and went on to pass their surgery boards at the same high rate as those who did not need remediation,” adds Dr. de Virgilio. Although most residents required remediation to fill gaps in medical knowledge, they were not prompted by poor performance to leave the field of surgery. Remediation did not appear to be a predictor of attrition. “Attrition rates did not differ significantly between remediated and non-remediated residents,” Dr. de Virgilio says. About 20% of remediated residents quit their program, compared with a 15% rate for those not requiring remediation. The vast majority of residents—more than 96%— who left did so voluntarily, usually for personal reasons. 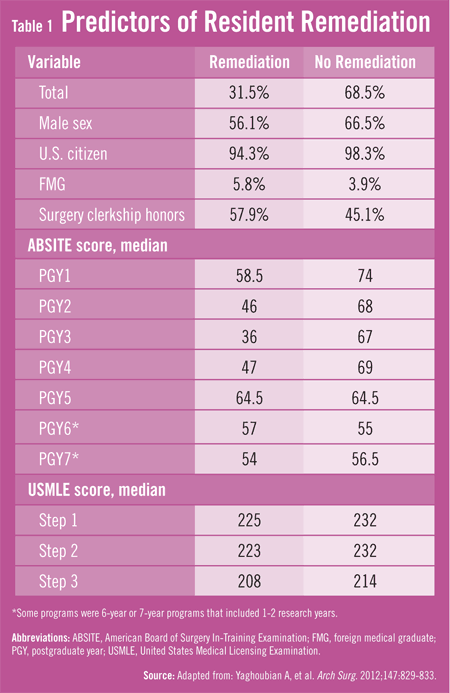 The only predictor of attrition was the American Board of Surgery In-Training Examination score at the postgraduate year 3 level (Table 2). Yaghoubian A, Galante J, Kaji A, et al. General surgery resident remediation and attrition: a multi-institutional study. Arch Surg. 2012;147:829-833. Available at: http://archsurg.jamanetwork.com/article.aspx?articleid=1358529. Williams RG, Roberts NK, Schwind CJ, Dunnington GL. The nature of general surgery resident performance problems. Surgery. 2009;145:651-658. Naylor RA, Hollett LA, Castellvi A, et al. Preparing medical students to enter surgery residencies. Am J Surg. 2010;199:105-109. Esterl RM Jr, Henzi DL, Cohn SM. 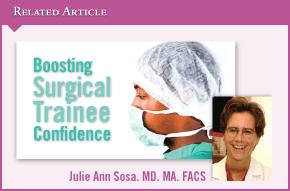 Senior medical student “boot camp”: can result in increased self-confidence before starting surgery internships. Curr Surg. 2006;63:264-268. Sachdeva AK, Bell RH Jr, Britt LD, et al. National efforts to reform residency education in surgery. Acad Med. 2007;82:1200-1210. Longo WE, Seashore J, Duffy A, Udelsman R. Attrition of categoric general surgery residents: results of a 20-year audit. Am J Surg. 2009;197:774-778, discussion 779-780. Yeo H, Bucholz E, Ann Sosa J, et al. A national study of attrition in general surgery training: which residents leave and where do they go? Ann Surg. 2010;252:529-534, discussion 534-536. Torbeck L, Canal DF. Remediation practices for surgery residents. Am J Surg. 2009;197:397-402. Christian de Virgilio, MD, has indicated to Physician’s Weekly that he has no financial disclosures to report.